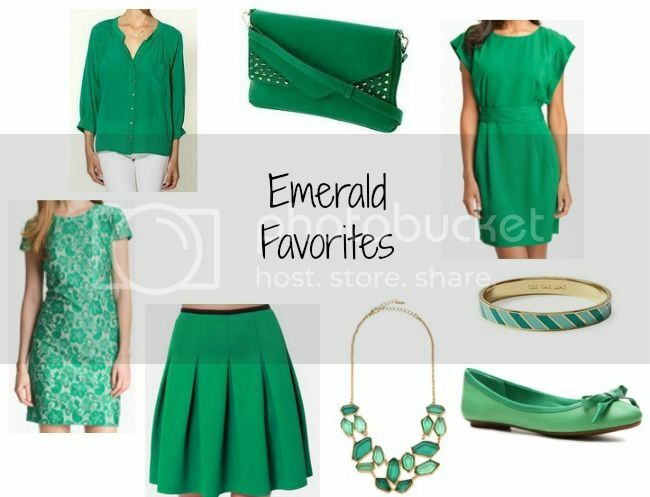 Emerald is such a hot color this year (read: it's the Pantone color of the year - in case you didn't catch that a while ago :] ) so it's been everywhere for a while now. I've rounded up some of my favorite emerald pieces in preparation for Friday's post (hint: it's week 4 of the #northvsouth style collab!). Which pieces are you loving the most?